Member Price: $150 Public Price: $200 Please call 646.419.2070 or click here. Taste Asia, in partnership with the James Beard Foundation, is hosting two exclusive executive chef events. 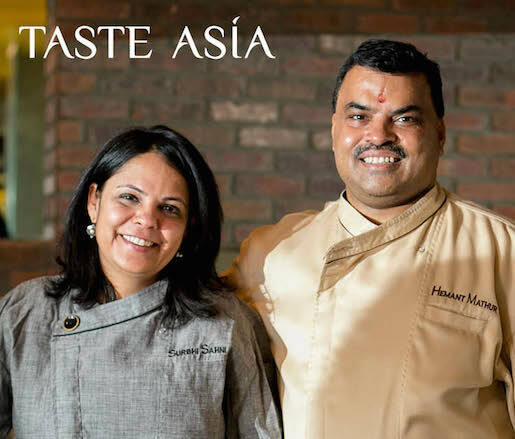 Michelin-starred chef Hemant Mathur, executive chef and owner of Haldi and Chola, teams up with his wife, pastry chef Surbhi Sahni, owner of Bittersweet NYC, to prepare an exquisite luncheon featuring Bengali and Kerala cuisines. Chef Mathur's passion is introducing New Yorkers to the variety of tastes from across India, while adding his own innovations. Dinner, by chef Zizhao Luo, executive chef at Radiance NYC, is an authentic Chinese feast bringing to the table the techniques and philosophy of a culinary tradition that's thousands of years old. The winners of the seventh annual International Chinese Culinary Competition will be awarded during the dinner. Luncheon: 11:30 A.M. to 3:00 P.M.
Be sure to provide your James Beard Foundation member I.D. to receive discounted tickets to the luncheon or dinner. Use promo code: JBFTA15​ for member price.